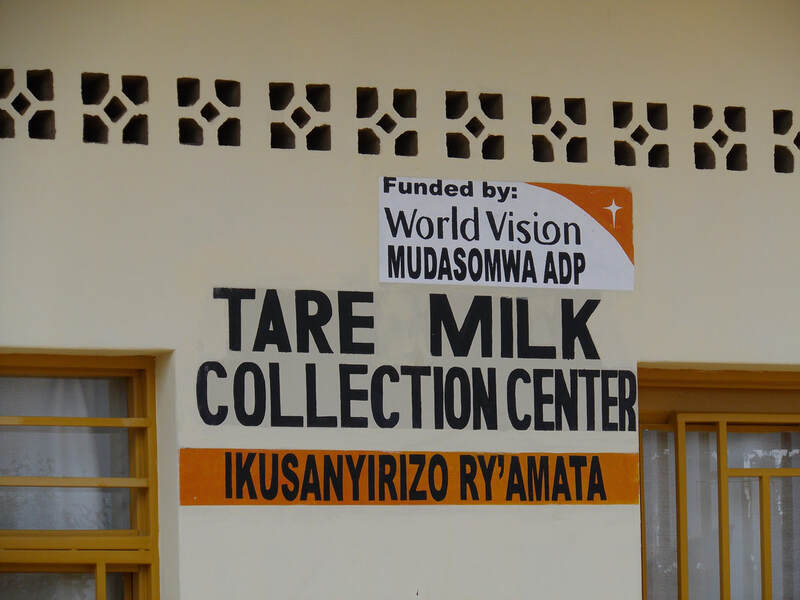 Our first Milk Collection Centre is up and running in the Kigeme Diocese. 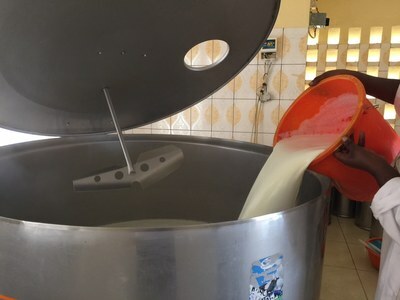 A milk collection center is, as the title implies, a center where the local people can bring their milk to be purchased, then, the milk is processed and resold to the general population for a profit. There were two centers already in existence in the area with all the equipment present and ready to use. The centers closed previously as they had poor managers in the past. 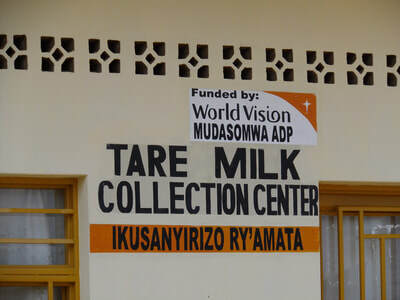 World Vision owned these properties and equipment was willing to give these to the Kigeme Diocese to use. It was decided to get one started and running at capacity and seeing it become a profitable venture first. , Thanks to a generous donation from The Highbury Foundation and various other Udder Project Supporters, we were able to supply the Food Security Team with the start up costs for the MCC. The MCC opened its doors in June 2018. Currently, they have approximately 98 farmers bringing their milk to the Center each day. They are processing, on average, 500 L milk/day but their current capacity is 1200 L/day. We strongly feel that this center will be helpful to the area as they provide a source of jobs for the local people and income for the farmers as it is a place where they can sell their milk. It will also provide safe milk for the local population to drink helping in the general health and nutrition of the Rwandan people. There are a few different reasons why they are not yet up to full capacity. Firstly, it is their dry season now (July and August). This is a time where food for the cows is sparse and so, they do not get the milk production that they would in the rainy season. In addition, they are still trying to build up the number of farmers that contribute their milk to the Center. In order to increase the revenue and success of the MCC a few things are required. A pasteurizer would have the capacity to pasteurize 1000 L of milk/cycle. Currently, they are boiling the milk over an open cooking fire. 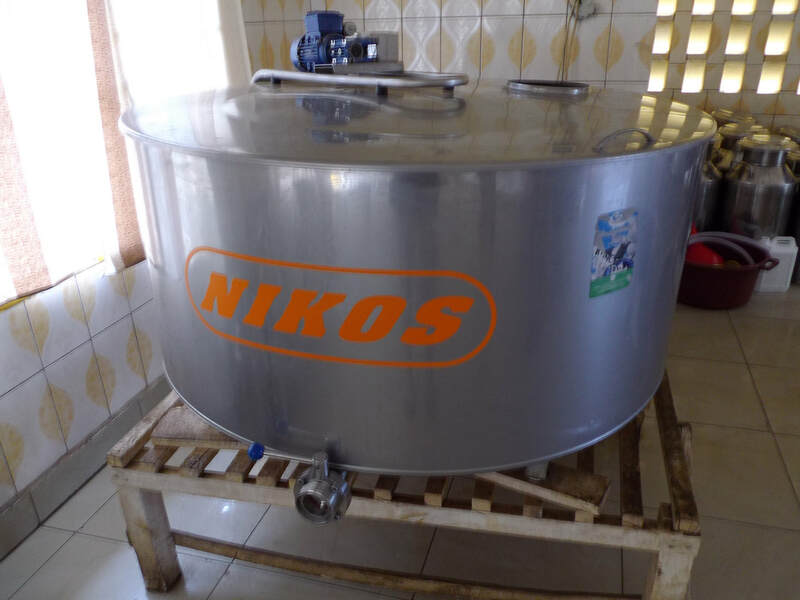 The pasteurizer is a cleaner option, will produce safer milk and will be much more environmentally friendly. Wood is also ten times more expensive then electricity so the pasteurizer will cut down on the cost to run the center in the long run. The area that the MCC currently services is smaller. In order to be able to distribute milk to a wider geographical area as well as obtain milk from farmers further away from the MCC, they need a reliable vehicle. This will allow them to increase their marketable area. Education of the farmers who contribute their milk to the center and the veterinary assistants who help those farmers will be essential to the success of the MCC as this will ensure healthier cows and, therefore, better milk production. Equipment such as refrigerators, water tanks to allow a continuous access to water as well as a fence to protect the building are also critical to ensure the success of the MCC. As the MCC is building up its capacity, the Udder Project is looking to raise money to support this development. Our projection looking at the initial profit and loss statements for the first two months is that, after one year, the MCC will become self-sustainable and make a profit. From thisprofit, salaries will be able to be paid and essential programs of Food Security maintained. To achieve our goal of supporting the MCC through this year we need to raisea total of $108, 429 USD. We are asking our loyal supporters of the Udder Project to consider supporting the milk collectioncenter. Please keep your eyes out for any fundraisers we may be having. 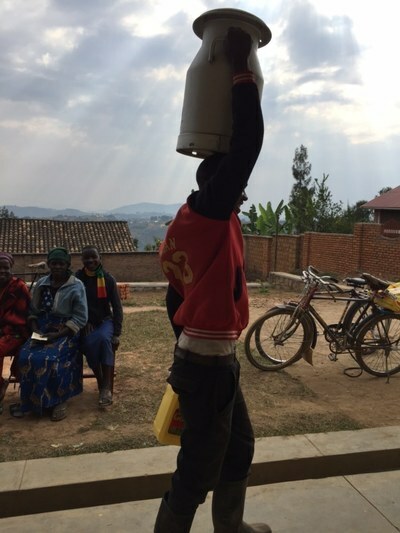 In addition, if you feel inclined to donate to the Udder Project to help us reach our goal of a self-sustainable Food Security Program in Kigeme, Rwanda, please let us know. Tax receipts will be issued for the donations. Donations can be made by Pay Pal on our website, checks payable to the Udder Project and sent to the Society address, E-transfers or by contacting either Carolyn or Rachael.